What languages do South Africans speak? Is South Africa a democracy? Are there big cities with modern amenities? Are the roads tarred? How far will my money go? … You've got three minutes to spare? Here's the lowdown on why South Africa's going to surprise you. You can drive on wide, tarred highways all 2 000 kilometres from Musina at the very top of the country to Cape Town at the bottom. Or join the millions of international travellers who disembark at our airports every year. About two-thirds of Africa's electricity is generated here. Around 40% percent of the continent's phones are here. Over half the world's platinum and 10% of its gold is mined here. And almost everyone who visits is astonished at how far a dollar, euro or pound will stretch. Welcome to the Republic of South Africa. 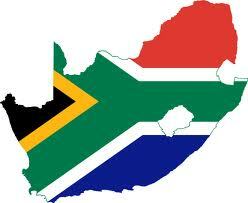 South Africa is a nation of 51.77-million people of diverse origins, cultures, languages and beliefs. Around 79% are black (or African), 8.9% "coloured" – the local label for people of mixed African, Asian and white descent – 8.9% white, and 2.5% Indian or Asian. Around 280 000 people classified themselves as "other" in the census undertaken in 2011. The majority of South Africans are Christian, the largest church being the indigenous Zion Christian Church, followed by the Dutch Reformed and Catholic churches. Many churches combine Christian and traditional African beliefs, and many non-Christians espouse these traditional beliefs. Other significant religions – though with much smaller followings – are Islam, Hinduism and Judaism. There are 11 officially recognised languages, most of them indigenous to South Africa. Just under 40% of the population speak either isiZulu or isiXhosa. You don't speak either? If your English is passable, don't worry. Everywhere you go, you can expect to find people who speak or understand English. 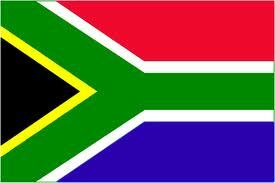 South Africa is a vigorous multiparty democracy with an independent judiciary and a free and diverse press. One of the world's youngest – and most progressive – constitutions protects both citizens and visitors. You won't be locked up for shouting out your opinions, however contrary. Up until 1994, South Africa was known for apartheid, or white-minority rule. The country's remarkable ability to put centuries of racial hatred behind it in favour of reconciliation was widely considered a social miracle, inspiring similar peace efforts in places such as Northern Ireland and Rwanda. Post-apartheid South Africa has a government comprising all races, and is often referred to as the rainbow nation, a phrase coined by Nobel Peace Prize winner Desmond Tutu. Summery, without being sweltering. In Johannesburg, the country's commercial capital, the weather is mild all year round, but can get cool at night. Durban, the biggest port, is hot and sometimes humid, a beach paradise. And in Cape Town, where travellers flock to admire one of the world's most spectacular settings, the weather is usually warm, though temperamental. If you're visiting from the northern hemisphere, just remember: when it's winter over there, it's summer over here. Bring sunglasses and sunscreen; leave the raincoat at home. To a European, yes. The country straddles 1.2-million square kilometres, as big as several European countries put together. To an American, maybe not – it's an eighth the size of the US. Still, it's more than a day's drive down the highway from Johannesburg in the north to Cape Town in the south (if you're driving sensibly), with the topography ranging across the spectrum from lush green valleys to semi-desert. How is it divided up? 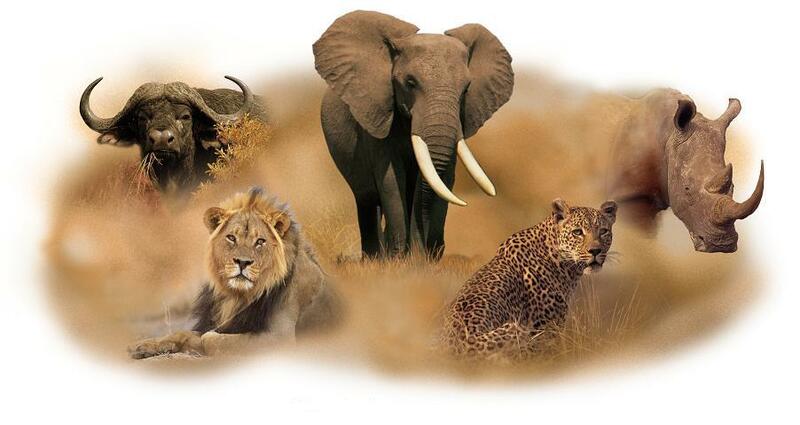 There's more to Africa than lions. Johannesburg, a city of skyscrapers, sprawls wider than London or New York. The lights work, the water flows, there are multi-lane highways and – unfortunately – traffic jams. You can book into a Hilton or a Hyatt or a Holiday Inn and eat at cosmopolitan restaurants serving anything from sushi to burgers to crocodile steaks. Or you can lie back on a couch and choose from five analogue and over 50 digital TV channels. How do I get to South Africa? By air – unless you have a boat or rugged overland vehicle. More than 70 airlines and more than 23-million passengers a year move through South Africa's 10 principal airports, including the three major international airports in Johannesburg, Cape Town and Durban. Yes, even in the smallest towns. The major centres are connected by more than 16 000 kilometres of tarred and regularly maintained national roads, including thousands of kilometres of dual carriageway. The national railway has about 30 000 kilometres of rail track connecting the smallest hamlets. That, and more. With a network that is 99% digital and includes the latest in fixed-line, wireless and satellite communication, South Africa has the most developed telecommunications network in Africa. Almost 13-million South Africans own mobile phones, many using them to access the Internet. Increased capacity and more stable connections, largely as a result of undersea cables, as well as more competitive pricing are helping to grow the South African internet market. High-quality tap (faucet) water is available in South Africa's urban areas, but not all water in rural areas is safe to drink straight from the tap. Is it safe to walk around? Like anywhere, yes – provided you don't go wandering about deserted streets at the dead of night. Yes, there is crime in South Africa. But you don't need to do more than take the usual sensible precautions. Know where you're going before you set off, particularly at night. Don't walk alone or display valuable possessions carelessly in public. Lock the doors at night. And, like anywhere else in the world, know that there are some areas of the major cities where outsiders present a more vulnerable target. It is easy to avoid these areas without lessening your enjoyment of a country and a people who are, with a few exceptions, remarkably warm and welcoming. Is it true that there are robots on the street corners? Yes, there are. In South Africa, traffic lights are known as robots, although no one knows why. A pick-up truck is a bakkie, sneakers are takkies, a barbeque is a braai, an insect is a gogga and an alcoholic drink is a dop. There are other reasons for visiting South Africa too: golden beaches, some of the world's best surf, spectacular scenery ranging from mountains to deserts, eco-systems found nowhere else in the world, an opportunity to experience African culture first-hand – and one of the least expensive holiday destinations you'll find.